Sebastian is a theater and film actor who's been producing and directing for the last ten years. He's directed and performed in dozens of hit and award-winning shows to acclaimed reviews. In 2015, he directed the original play, "GRACE NOTE," for the OC-Centric Play Festival at Chapman University and went on to win OC Magazine's "BEST NEW PLAY." He's collaborated with Unbound Productions by directing for Wicked Lit and other events. The short films he's directed have screened all around the U.S. Sebastian is a Magician Member at the prestigious Academy of Magical Arts at The Magic Castle in Los Angeles where he volunteers time doing outreach and performing magic for organizations all over Southern California. Redetha studied acting at Saint Louis University and has been working with Zombie Joe’s Underground Theatre Group in Los Angeles for the past 5 years. She’s performed on stage and in front of the camera in over 25 different projects. Some of her favorite roles include zombies, evil stepmothers and telenovela matriarchs. “Defense Mechanism” was her first horror film. Born and raised in the Los Angeles area, Andy is a writer, director, reviewer and all around super geek. He studied Theatre and History at Moorpark College and at California State University, Northridge. He began doing Theatre in 2005 and hasn’t stop. In the last year he had three of his plays produced at Zombie Joe's Underground- The Bereaved, Lonely at the Top and The Jew That Saved Christmas. Andy is also the co-founder of the Horror, Halloween and Haunt review site, All Hallows’ Haunts. Corey is thrilled to be a part of the FON Family. She became involved with theatre as a way to spend time with her husband, Jerry, who was ALWAYS at rehearsal. Now it is difficult to determine which of them enjoys it more. While she typically prefers the aspect of directing, it is hard to keep Corey off-stage when there is a musical to be sung. Jerry Chappell is a graduate of CalState University Northridge. He is happy to call Force of Nature his theatre home in Los Angeles. Along with stage and film, you can see him and his improv team Shazaam! making waves around the LA Independent Improvisation scene. He is married to the amazing Corey Chappell and they try hard not to mess their son Collin up too bad with all their theatrical shenanigans. Melissa is very excited to be participating with Force of Nature. Jack-of-all trades; she enjoys her time both on the stage, as well as behind the scenes. An animal trainer by profession, she has enjoyed working with the company providing animal actors for some their projects. She also dabbles in make-up, set design and lighting and has enjoyed being able to spread her wings in these areas working on many projects. Recently she has been able to return to her roots by performing on stage as well. Every journey is exciting, and with every project a new opportunity to expand and create as an artist. Melissa is grateful for them all! A southern California native, Vincent became involved in theatre in 2003 at Moorpark Community College out of curiosity in the arts, and over a decade later he can't imagine his life without theatre in it. The friendships he's made, the experiences he's shared, and the audiences he's had the pleasure of performing for, have changed his life in so many ways, and he is so grateful to everyone he has met along the way. Cara Megan Vilencia is a recent graduate from Cal Poly Pomona with a Bachelor's of Art degree in Theatre with an emphasis in Acting. She is currently the resident Lighting and Sound Designer and Secretary at Force of Nature Productions. Cara has been with Force of Nature for over a year now. Her first time meeting the company was back when the 80's RUSH was playing, second time around, and her first lighting design was Fallen Saints: Dia de Los Muertos. Other work Cara has done is writing, directing, acting, and producing her musical debuting in March 2018 titled: It's Tough to Wait for a Musical. Acting wise some roles Cara has performed recently include Elizabeth Bennet in Pride and Prejudice, Bapstista in Taming of the Shrew, Cecile Volanges in Les Liaisons Dangereuses, and Courtesan in As You Like It. Cara would like to thank Kyle Schriver, her friends, family, Sebastian Muñoz, and the FON family for always being an amazing support in all of her work. Carlos R. Hernandez is Force of Nature's photographer. He is a strong supporter of performance and visual arts, and believes in the vital importance of educating our youth in those disciplines, which is how he came to partner with Force of Nature's Founder. Carlos grew up near downtown LA, attended public schools in the inner city, and eventually attended USC where he received a B.Arch degree. Over the last 20 years has been fortunate to pursue multiple professional interests including Photography, Videography, and is a Director of Technical Management in an award winning Architecture office. As a student with an insatiable appetite for learning he dabbles in woodworking, bass guitar, cooking, and drawing when time permits. He above all loves engaging and collaborating with creative individuals and looks forward to supporting Force of Natures highly creative, energetic, and fun team. Brian was born on March 5, 1990 in Van Nuys, CA as Brian Larios. He is an actor known for his whimsical personality. His most recent work includes the adaptations of 50/50 (2017), Raising Hope (2017), The Office (2016) and Entrepreneurz (2015). 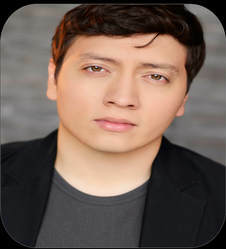 Brian’s versatility is shown by his fluency in Spanish as well as his age and ethnic ambiguity. He has been cast on a broad array of characters, which make him a very mysterious and interesting actor.